VOLKSWAGEN Kombi fans raise a glass. It's time to bid farewell to a legend. 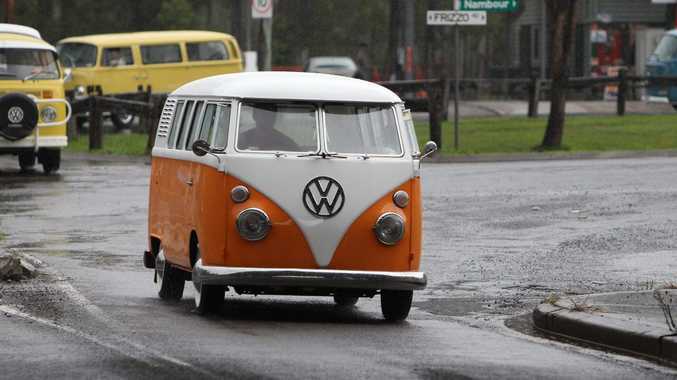 Volkswagen has announced it will end production of the Kombi van in 2013 - 63 years after it was introduced to the world market back in 1950. The only existing VW Kombi production line in the world is in Sao Bernardo del Campo, Brazil, where the vans, which haven't been significantly updated since the late '70s, are still built by company subsidiary Volkswagen do Brasil. Company head Thomas Schmall told UK magazine Car and Driver that by the end of next year, Kombi production would finish up after 56 years of continuous manufacturing. The demise of the Kombi T2 (as it is known in Brazil) comes courtesy of stricter safety rules being brought into place, which require all new cars to be fitted with anti-lock brakes (ABS) and dual front airbags, come into force on January 1, 2014. But as one senior source told Car and Driver, the move was also part of a cultural shift for the brand: "At some point, you are the brand with the old cars." UK magazine Autocar quotes VW Brazil's product development boss, Egon Feichter, saying that the Kombi would need to become "a new car" if it were to meet the new criteria. According to Feichter, that's something the brand apparently isn't willing to invest in, because to replace the Kombi with an all-new version wouldn't make financial sense as "you can get two Kombis for the price of one normal car". In recent years Volkswagen has confirmed it is working on a modern day interpretation of the Kombi. The Bulli concept van was said to be a precursor to that car, but VW says it has put the project on the back-burner due to tough times in the European economy. The Kombi was not the only "old" Volkswagen still being built and sold as a new car long after Germany discontinued the original model. Volkswagen plants in Mexico and South Africa used to build original versions of the Beetle and Golf, but production of those models has stopped in recent years. The company still builds an older version of the Passat for the Chinese market, although that will be replaced by a more modern version soon. The Sao Bernardo del Campo plant still rolls out 251 examples of the Kombi every day.